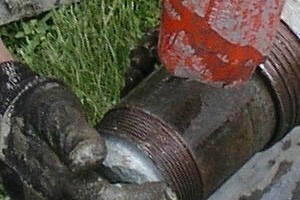 The Corps of Engineers, St. Louis District, sent Brotcke Well & Pump a task order to drill thirteen borings, sampling on 5-foot centers. Four of these were over water borings, with the average depth of the water being approximately two feet. 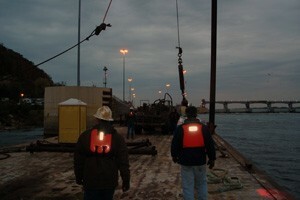 Because this was too shallow to mobilize a conventional barge into, BWP designed and constructed its own barge. 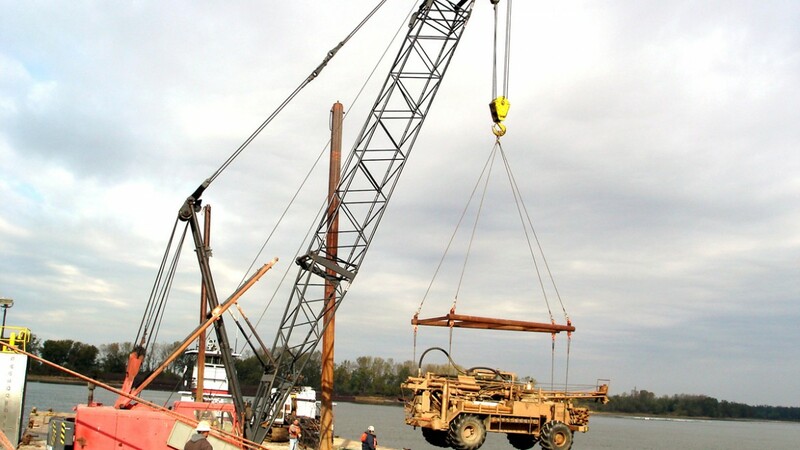 Made out of foam and steel, the barge supported a skid mounted rig, personnel, and all tooling throughout the drilling operation.